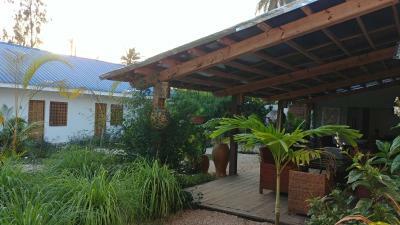 Lock in a great price for Nungwi House – rated 9.2 by recent guests! I liked the kindness of the staff. Tito is excellent always with a smile. Took us around the village and to the turtle Aquarium.Nothing ws too much trouble for him.And Moudy the Manager runs the place so well. Always willing to do anything for their guests. When we were very hungry in the afternoon time, and did not feel like going out in the sun,he bought for us bread rolls with his money. 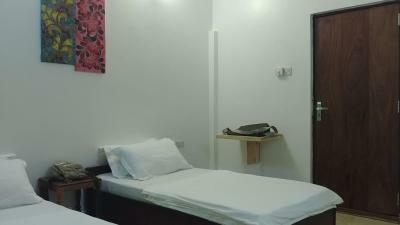 The rooms are very clean.With comfortable bedding and rain shower is hot. All was satisfactory. Wi-Fi works very well. The best thing about this place was how flexible they were with our schedule! We arrived early in the morning (at 6am when our booking only started at 10) and there were no problems with getting a room and relaxing after our flight. And, when our plans changed and we wanted to leave a day early, they were super accommodating and let us not pay for the last night. The host was also very helpful, gave us many useful suggestions regarding things to do and helped us book good deals for excursions. He was a great gay! Also - breakfast was lovely every day. The rooms are exactly as they appear in the pictures! An amazing stay! 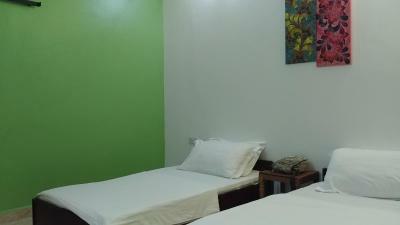 All the staff were friendly and accommodating to our needs. 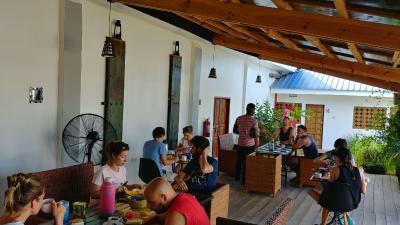 The breakfast was delicious and filling; especially the fresh chapati and smoothie! The manager was lovely and walked us to the beach which was a 3 mins walk. The manager then proceeded to take us to the turtle sanctuary which is where we wanted to spend our morning. He was kind enough to stay with us during our time at the sanctuary and even hold our bags! 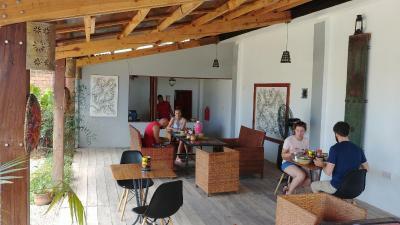 Overall, Nungwi House is a little gem hidden away in Nungwi and budget friendly! Highly recommended! 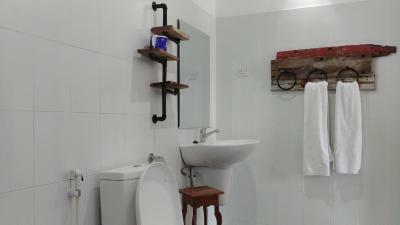 This is a basic clean hotel with a good bathroom. One bed was great, the other needs to be rotated as it was saggy in the middle. It was close to everything, safe, staff were kind, breakfast was included. I would stay again. 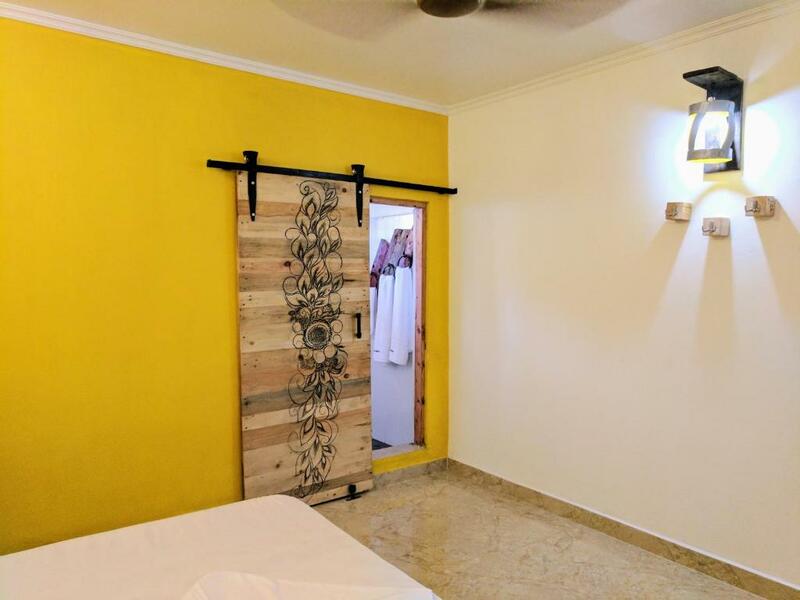 Everything was great about our stay - the room was very clean and comfortable; the staff were incredibly helpful and friendly; the location was incredibly close to the beach. 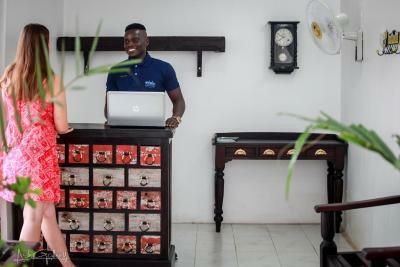 The manager, Moudy, was super approachable/friendly/helpful for our entire trip organizing the taxi rides for us as well as any day trips such as to stone town and a spice tour and was there to answer all our questions. 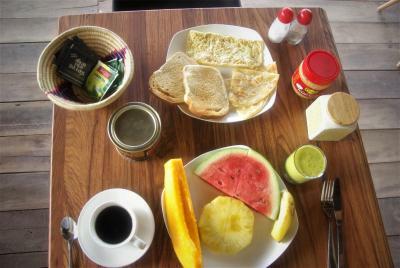 The other staff (Tito and Maryam) were also very friendly and made great breakfasts of a large fruit plate + eggs/bread + smoothie. The driver they use for taxi hire, Ally, was also great and friendly. Fantastic stay and would stay here again. 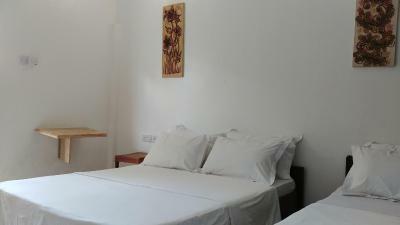 Clean room, bed, bathroom, towels; Hot water and electricity; free wifi; opportunity to use the kitchen for cooking. Very nice people. Located very close to the ocean side. One of our best sellers in Nungwi! 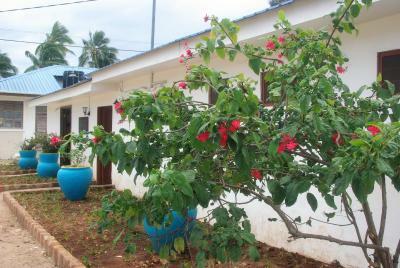 Nungwi House offers accommodations in Nungwi. 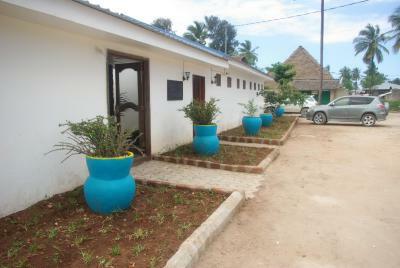 Nungwi House features free WiFi . 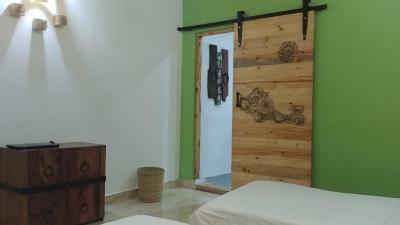 You can engage in various activities, such as snorkeling, diving, fishing and canoeing. 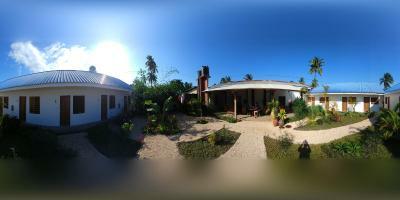 Supermarket is 350 feet from Nungwi House, while East Africa Divers is 650 feet away. 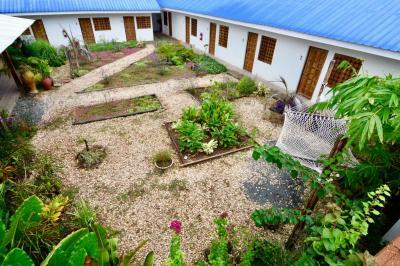 The nearest airport is Abeid Amani Karume International Airport, 40 mi from the property. This property also has one of the top-rated locations in Nungwi! Guests are happier about it compared to other properties in the area. This property is also rated for the best value in Nungwi! Guests are getting more for their money when compared to other properties in this city. When would you like to stay at Nungwi House? House Rules Nungwi House takes special requests – add in the next step! Nungwi House accepts these cards and reserves the right to temporarily hold an amount prior to arrival. Please inform Nungwi House of your expected arrival time in advance. You can use the Special Requests box when booking, or contact the property directly using the contact details in your confirmation. Breakfast was good and great service!! There is no A/C but I did not need it because the ceiling fan was very good; however, it can be warm at times. The beach is a three minute walk, very easy to get to. There are markets to get water, beer, snacks etc. You are in a location with local people but it is safe and you are welcomed. Seafood on beach amazing and good price relative to Europe or America. No AC but I generally slept well and cool enough at night with powerful ceiling fan. Biggest gripe is people around hotel and on the beach will NOT leave you alone no matter what. I was exhausted after eight days of constant constant constant approaches to buy or just give money. It's a serious problem and it will wear you out. The hotel is not on the beach front, but walking to the beach takes a few minutes. The road to the beach is dusty but then its a village place. The room did not have wardrobe or TV. But it was not a big problem to us. No fridge in the room but also can use the one in the sharing breakfast room anytime. Rooms could do with some chairs, as the only place to sit was on the bed. Made very welcome by all staff. The location and room were exactly as described. Breakfast was very good and the supply of tea/coffee in the communal area was very welcome. Please keep a torch in the room and prepare guests that power shutdown occurs and this is fixed by a back up generator. This is t be anticipated so the torch is provided. Manager has ensured each request is fulfilled to high standard. Teamwork behind the scenes is apparent for coordination of everything from breakfast requests, currency exchange,laundry, recommendations for beach and restaurants. Everything very good. Hat problems with our flight and they really tried their best. Everything was excellent! 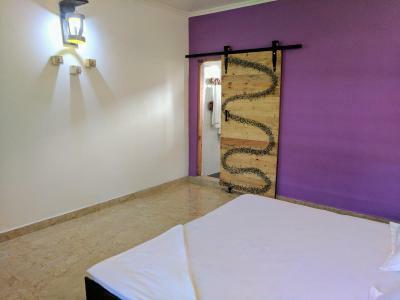 Location is very good (5 minutes to the beach and shops), rooms are very clean, staff is so nice and friendly that you feel yourself like in a family. Thank you very much! During raining, we couldn’t enjoy outside view and just stay in the room because of the garden view. In addition room was noisy because it was next to the road and play ground. 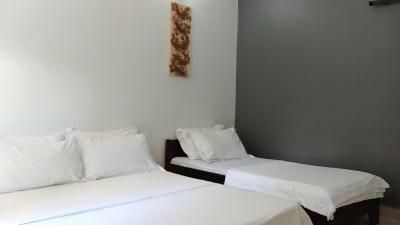 Room was clean and staffs were kind. A very pleasant stay. We will definately come back. Problem with electricity, it’s affect water supply, especially in toilet. I was there when it was scorching hot so the bedroom did get hot as they only have fans but that was the only slight caveat. 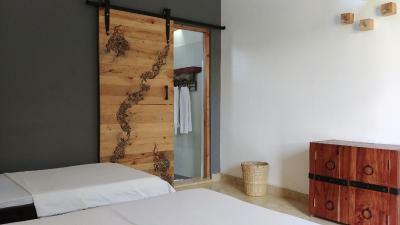 Basic rooms but so clean and excellent shower! Staff were fantastic and went out of their way to help. 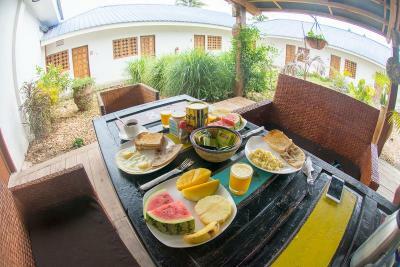 Amazing breakfasts and all in all a great stay. 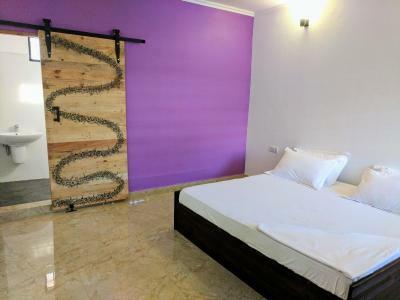 As a solo traveller it was in a safe location and I would highly recommend to those who maybe don’t want to pay the high prices of hotels on the beach. This was just a two minute walk from the beaches so perfect. Thank you Moudy and Marion and the rest of the team! Value for money, you can't get sea view and A/C for the amount we paid. However, an A/C to pay daily for would have been nice. We got what we expected, and with value for the money. The host Mudi and Meryem created an atmosphere of support and warmth. Was always at hand and we enjoyed discussions with Mudi. A perfect host. 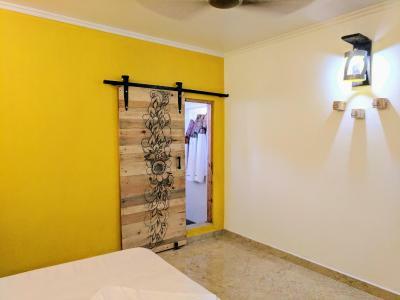 An A/C in the room would have been perfect as February in Nungwi is awfully hot.